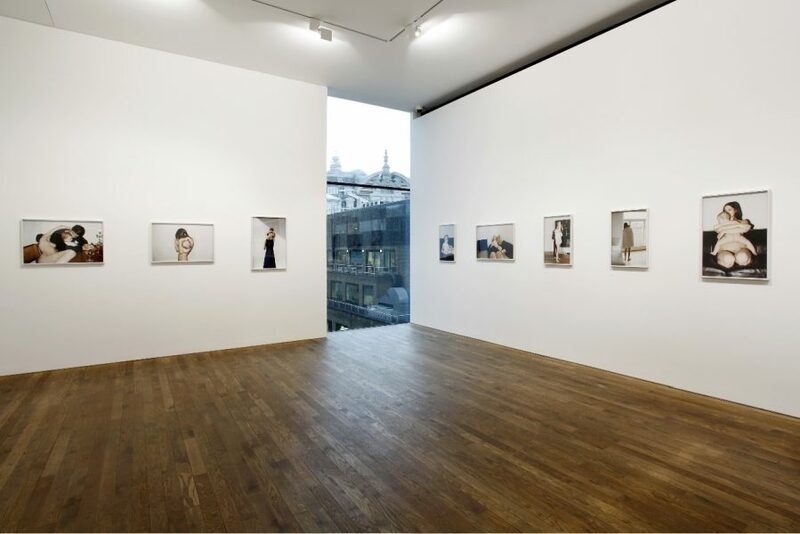 Exhibition view 'Home Truths' at the Photographers Gallery London , 2013. Exhibiting artists Leigh Ledare, Janine Antoni, Hanna Putz, Elinor Carucci, Elina Brotherus, Ana casa Broda, Fred Hüning, Katie Murray. Photographers Gallery, 2013. 'Untitled 2011-2013' has been exhibited at the Photographers Gallery (UK), MOCP Museum of Contemporary Photography Chicago (US) & LENTOS Museum (AT).